EDITOR’S NOTE: This article has been updated to include an excerpt from a recent public statement written by Brad Termini, on behalf of Zephyr Partners and Robert Green Company and a link to the full letter. DEL MAR — Well over a hundred Solana Beach and Del Mar residents attended an Aug. 27 Citizens’ Participation Program at the Del Mar Civic Center, expressing their concern over the impact of a bluff-top resort. The development, called The Del Mar Resort, would reside on the southwest corner of the Via de la Valle/Camino Del Mar intersection. The property is currently zoned for single-family private residences. Crafted by Encinitas-based developers Zephyr Partners and Robert Green Company, the plan offers 251 guest rooms, 76 villas, a low-cost visitors’ lodge, several affordable for-rent units, as well as restaurants and walking trails. A set of story poles was erected on the corner of Sierra and Border avenues on Aug. 8, indicating the outline of the development. For many area residents, the poles served as a wake-up call to “the enormity” of the potential ocean-front resort, said Brian Feingold, an investment banker who has lived in Solana Beach for 22 years. Feingold can see the flagged poles from his home, just east of Highway 1. The poles reach as high as 46 feet, which is 20 feet taller than current restrictions. At the Citizens’ Participation Program meeting, Feingold distributed 50 bright red signs stating the words “Save the Bluff, Say No to Re-Zoning.” Waiting in line to submit their comments at the open-house-style gathering — the second and last required such meeting — dozens of attendees toted the signs and expressed dismay about possible resulting traffic, crowds, and the environmental impact on the bluffs. An online petition protesting the development was posted Aug. 27, and by the following day had garnered more than 200 signatures. Feingold said he also gathered about 100 signatures at the CPP event. Attendees and developers alike are awaiting the findings of a draft Environmental Impact Report, which will be published on the project’s website in late fall. Others were interested in the project but worried about the sheer scope, and the congestion such a resort might bring to an already traffic-prone intersection. 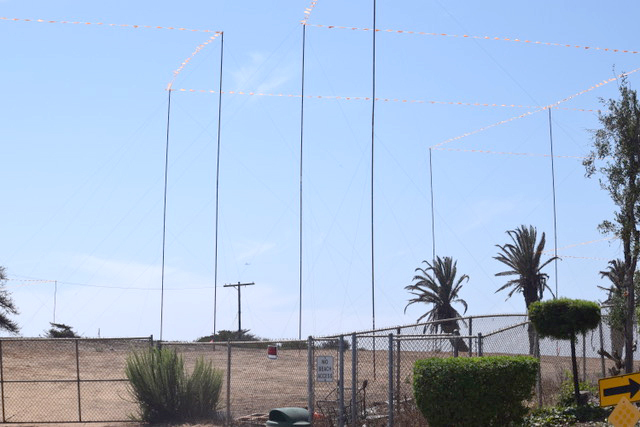 “Any place that has 705 parking spaces is big,” said Del Mar resident Steve Quirk, who hopes city leadership will work to come up with creative solutions to the probable increase in vehicle and foot traffic. 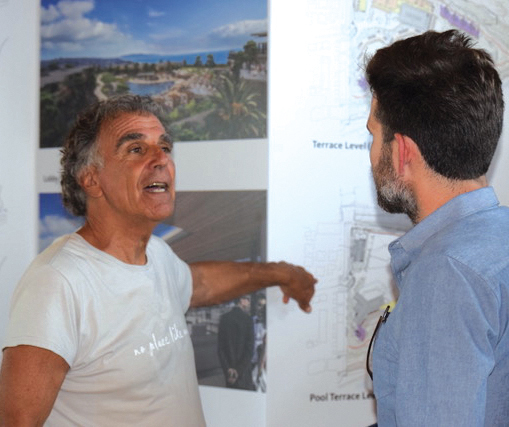 According to Jim McMenamin, the senior VP of forward planning with Zephyr Partners, the size of the project — though setting “some sort of precedent” in terms of Del Mar developments — is still consistent with other projects, like L’Auberge. “We’re not breaking new ground here,” McMenamin said. Robert Green, the founder of the eponymous local company, has his eyes on the “big picture” of what the resort will provide for local residents. “We’re trying to do the right thing, and we still have a long way to go,” he said. The developers are hosting four outreach events in September at Del Mar Powerhouse Park. For more information, visit the Del Mar Resort website. Residents have until the Sept. 24 to submit their comments to the city. Written correspondence can be sent to Matt Bator: mbator@delmar.ca.us. Our home on Marsolan Ave. in Solana Beach is already impacted by the yearly traffic from the San Diego Fair and the Racetrack Season, not to mention Kaboo, etc. Our main intersection to get to the 5 Freeway is the corner of Cedros and Via de la Valle: one block northeast of where this monstrosity is planned to exist. WE know the property will be developed someday, but what about some exclusive private residences? Those homes could have all the amenities of Beach front living and gate themselves in with exclusive privacy and not disrupt our entire Southwest Solana Beach.